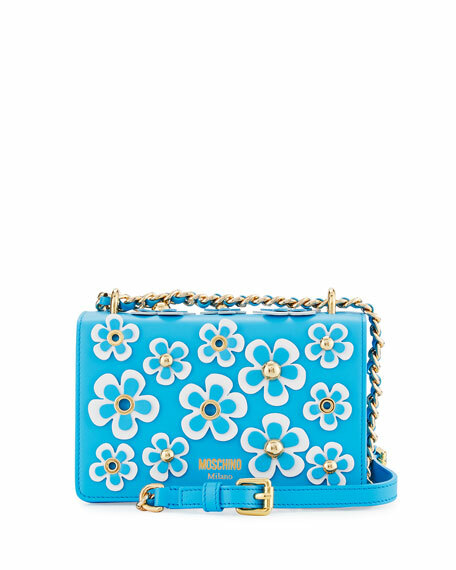 Moschino smooth calfskin shoulder bag with floral appliqué. Adjustable woven chain shoulder strap can be doubled, 12"-23" drop. Embossed logo at one front and back. 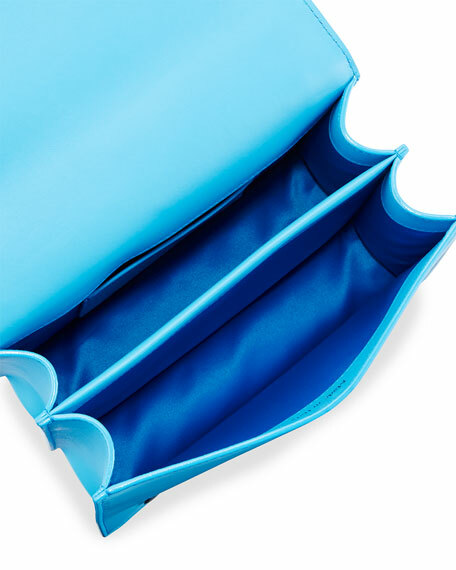 Interior, satin lining; one slip pocket. 5.3"H x 8.3"W x 3.5"D.
For in-store inquiries, use sku #1961990.